Diffpack is a set of libraries containing building blocks in numerical methods for PDEs. By its design, Diffpack closes the gap between black-box simulation packages and technical computing environments using interpreted computer languages. 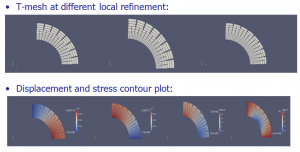 The framework provides a high degree of modeling flexibility, while still offering the computationally efficiency needed for demanding simulation problems in science and engineering. Technically speaking, Diffpack is a collection of C++ libraries with classes, functions and utility programs. The numerical functionality is embedded in an environment of software engineering tools supporting the management of Diffpack development projects. 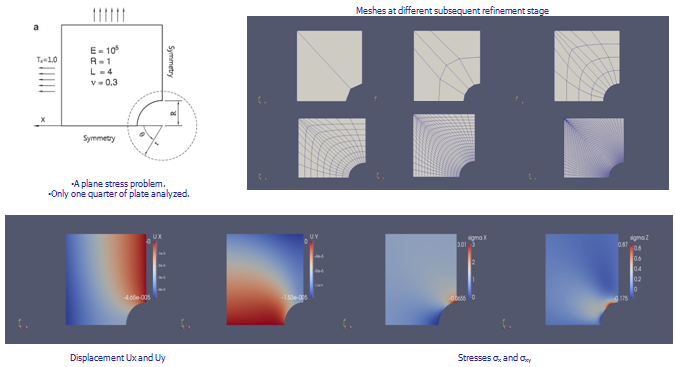 Isogeometric Analysis introduced by Hughes et.el is a new simulation methodology closing the gap between Computer Aided Design (CAD) and Finite Element Analysis (FEA) by using the same shape functions used to describe the geometry of the object to describe the unknown functions. This can, in certain cases, reduce the complexity of the iterative design-analysis cycle. The objective of this work is to provide a generic implementation of isogeometric finite elements analysis (IGAFEM) method based on NURBS, T-spline, PHTSpline using Bézier extraction which provides a tool to facilitate the implementation of NURBS ,T-spline and also PHTSpline bases in an existing FEM code. 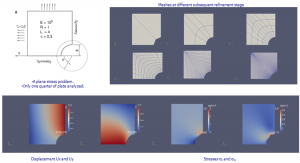 This contribution focuses on isogeometric analysis finite element methods (NURBS, Tspline, PHTSpline). The long term goal of our work is to provide for industry and academia a flexible programming environment for the development of isogeometric methods. M.N. Hossain, F. Vogel, D.A. Paladim, V.P. Nguyen, S.P. Bordas. Implementation of an isogeometric finite element toolbox in Diffpack. 11th World Congress on Computational Mechanics, July 20-25, 2014 Barcelona, Spain.